The SKIRT is probably the second form of clothing in the history of man. Right after the loin cloth, people learned that they could weave a rectangle of fabric and wrap it around their waist and the "skirt" was born. Initially, and still in some cultures, skirts were worn by men as well as women. 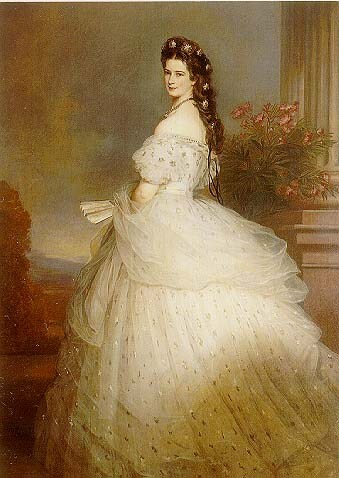 During periods of time in our history when a small waist was coveted, under petticoats and hoops and corsets were worn under the skirt to accentuate the size of a lady's waistline. Charles Frederick Worth founded the House of Worth, one of the foremost fashion houses of the 19th and early 20th centuries, and is considered by many fashion historians to be the father of haute couture. Hemlines of skirts go up and down. There was a time in history when it was considered indecent to show one's ankles and other times, like the late 60's when it was acceptable to show, almost, the whole leg when wearing mini skirts. 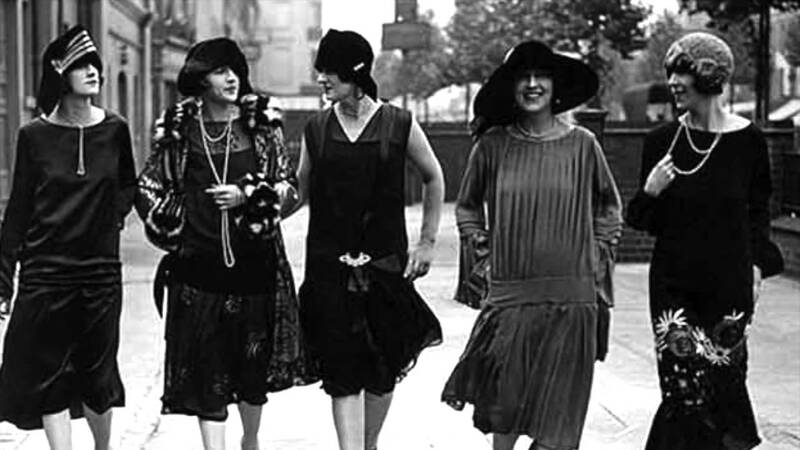 Because of a fabric shortage, hemlines go up during times of war such as World War I and II. Hemlines go back down during times of prosperity. At the present time, hemlines are up and down and everywhere in between. This polyester knit ankle length skirt that I am wearing has an elastic waist and slips easily off and on. This style is very popular at the present time. I am 5'8" and the skirt hits right at my ankle. I have often wondered what you shorter ladies do when you buy a long skirt and it drags on the floor. I assume rolling the top at the waistline is an often used remedy. Hemming the bottom up can be tedious and it never looks as good as the original hem. An easy way is to make a new elastic casing at the waist, cutting off the extra at the waistline rather than at the hemline. I am wearing a loosely woven longer sweater over a black shell. I have had the sweater for sometime, and I love the back of it. Depending on the skirt fabric, long skirts may be cool in the summer and warmth in the winter. Three cheers for the Long Skirt! I found a few for you to look at and all have an elastic waist. "Every generation laughs at old fashions but religiously follows the new"